Its been a busy time here at LB with lots of enquiries and bookings for 2013 and 2014. Looking forward to all the lovely weddings we have coming up. We hope to be taking part in a wedding fair in September, look out for updates! I thought I would share a picture of one of our shower bouquets. There are many different arrangements and styles for wedding flowers but shower bouquets are by far my favourite arrangement to make. 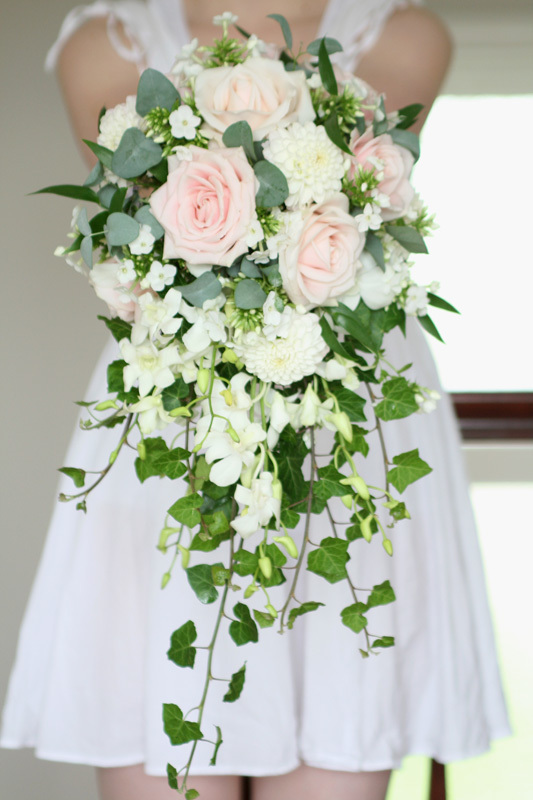 I wanted to create a natural, just picked look so I chose lots of gorgeous flowers and foliage in different textures along with ivy trails to give the bouquet a relaxed country garden feel.